This is new High Quality 16 piece spice rack set . 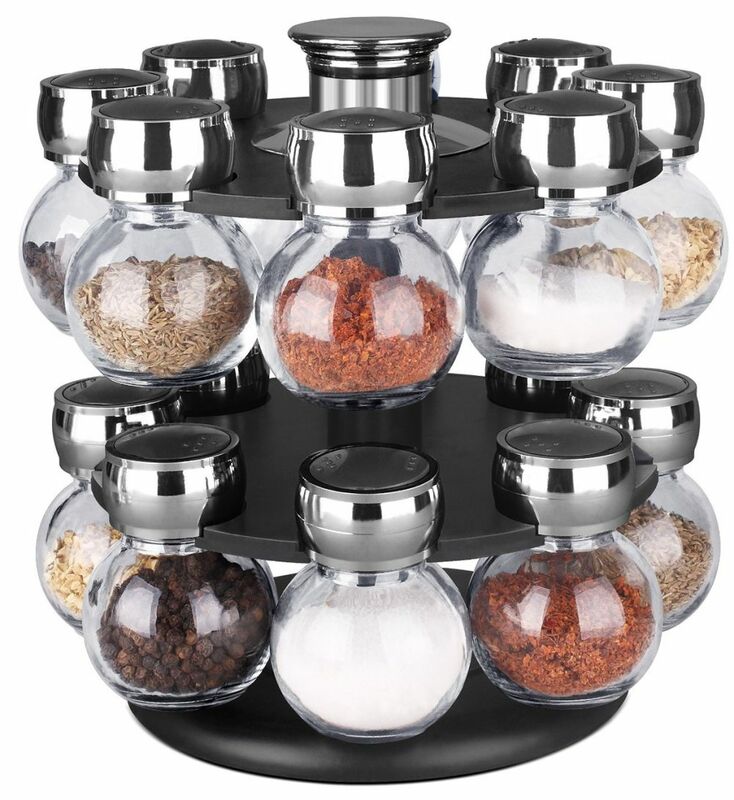 It consists of 16 spice jars with no spices included and 1 rack with chrome coated top handle.Modern & Stylish these would look great in any home. Great for spices & condiments Easy to clean and keep the spice fresh for long time. -Chrome colour top cover of Bottles.